We have hundreds of these figures from this line, most are not even listed because we have so many. If there is a certain one or you need one with a certain mistake, etc please contact us, we may have the one you need! 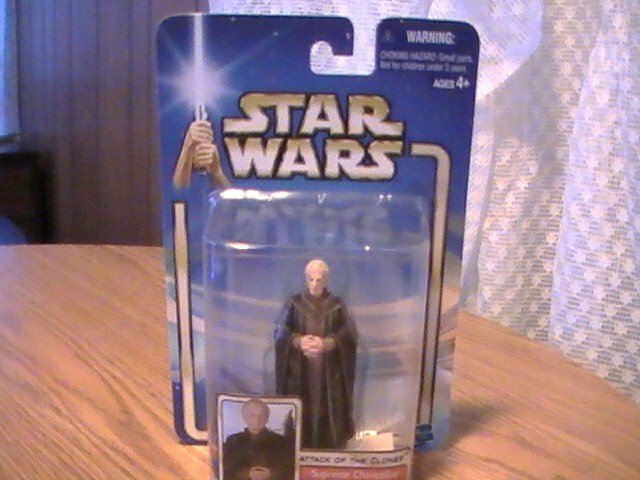 We have a huge supply of figures from AOTC, background versions, errors, variations. Figures from SAGA, POTF, COMMTECH, DELUXE, and one of the last 17, Luke Skywalker disguised as a Stormtrooper. He is in great shape! MANY hard to find figures! It's going to take some time to sort thru, photograph, and list. If you're looking for a certain figure or certain type of variations from these lines, send us an email and let us know and we'll get back to you as soon as possible! The prices will range from 10 dollars and up! Perfect for gifts, holidays, or to start a collection of figures or a specific character collection! Star Wars POTF Green Card Gold Foil 3 3/4 inch Darth Vader Figure See Others! Muscle Machines 40 1940 Green Machine Willys Willy Hotrod Truck Die Cast Cool! Star Wars AOTC 3 3/4 inch Boba Fett Figure See Our Others!